Let’s be clear: This is not how you make a warning label when you want it to be followed; this is how you make a warning label when you’re trying to avoid a lawsuit without regard to the well being of your users (or maybe if a government agency is requiring it). There is a warning label similar to this on my son’s Graco combination changing table/playpen. I was looking for the safe load weight (to ensure that the changing table would not give out below him), and, much to my dismay, this information was not provided on the warning label. When creating warnings, companies need to figure out what questions the customers have and what actions the customers are likely to perform incorrectly (which cannot be corrected with design). Safety is too important to leave to poorly formatted warning labels. If you recall, last month my wife had an incident with a bouncy seat that sent us to the ER in the middle of the night. Well, since that incident, in conversation with a lot of friends and co-workers, I have found that tripping over the bouncy seat is not an uncommon occurrence in their homes either! In all seriousness, I trip over at least one of our two bouncy seats at least once per day. Now that I know that it is a common issue, it’s not hard to see why. Look at the picture to the left; specifically, look at the right leg of the bouncy seat. That leg seems to disappear right into the floor tiles, doesn’t it? My answer to you would be: VERY OFTEN!!! That brushed metal blends quite nicely with the rest of the grey in my peripheral vision! I’ve also seen similar bouncy chairs with powder blue legs which are no better than the grey. So, here’s my question: If we’ve invested so much time and energy to conform to the the many standards for child safety, why have we neglected to account for the safety of the people who may be walking near the seat and carrying the child? Why aren’t the legs neon orange (or some other neon color)? That color would actually work well with the color scheme of the bouncy seat that I have pictured! Kids love neon colors, and neon colors stick out much better than the dull brushed grey. We may not be able to entirely fix the problem, but why aren’t we doing everything we can to reduce the risk of someone tripping over these things!?! 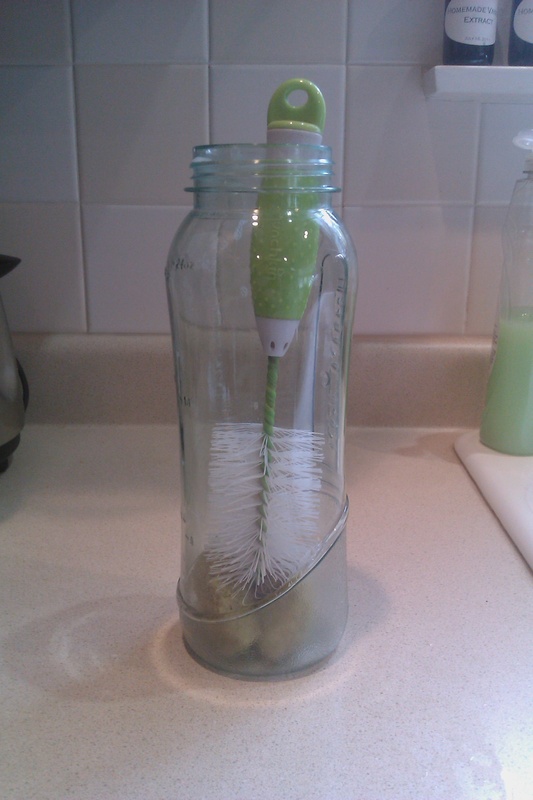 Lately I’ve become fascinated with a kitchen gadget – It’s not new, and it’s not very technologically advanced, but it has become an indispensable tool in my arsenal of kitchen cleaning gadgets: it is none other than the bottle brush. Bekah and I aren’t using bottles with Tiny Jim, but someone bought us one of these for our baby shower. One day, I had to clean out one of my water bottles, and, BAM, this brush worked perfectly! So, what is the issue with the bottle brush? No one thinks to buy one unless they have a baby (to make matters worse, they’re usually only found in the baby section of the store)! 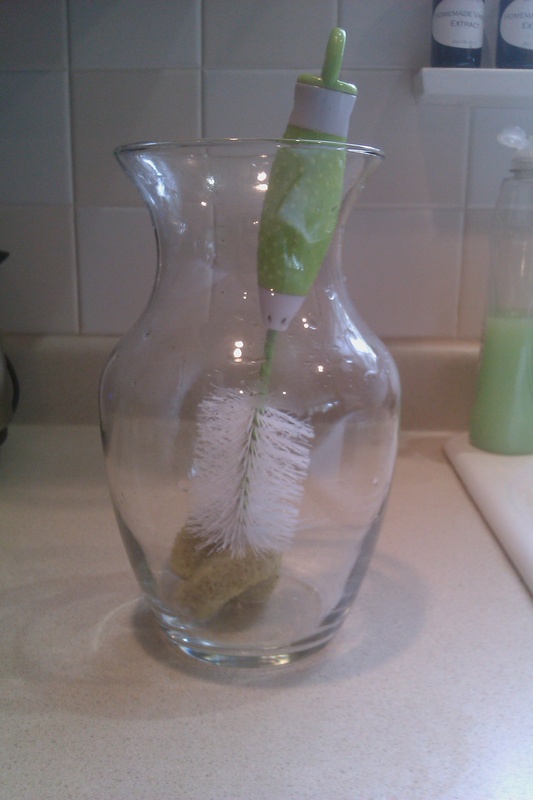 I believe if the bottle brush folks (or anyone for that matter) were to re-purpose the bottle brush to be more of a “long neck” cleaning brush, there is huge potential for some big sales (I know that there are many different long-handled cleaning brushes out there, but few have the cool features of a bottle brush – like a sponge at the end, or a smaller bristle brush that comes out of the back of the handle). How do I know that they can make a ton of money by rebranding the bottle brush? Look at this guy who’s made millions off of a bottle on which the bottom half unscrews for cleaning! That bottle looks like a hassle (I feel like the bottom could come undone while you’re running or something of that nature). 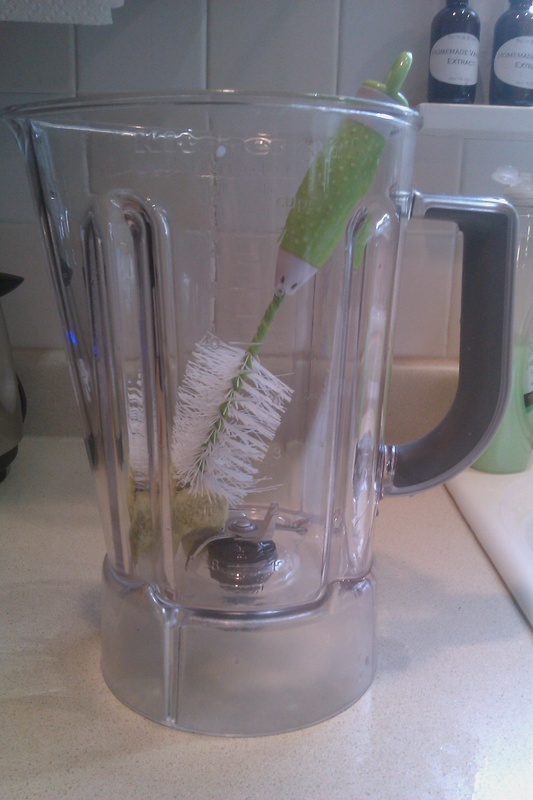 You don’t need to re-design your containers, you just need to re-brand your cleaning device (and, even if you don’t have a baby, I highly recommend buying a bottle brush)! Today’s post is brought to you by insomnia!!! If, hypothetically, you had a baby, and this hypothetical baby had some hypothetical stomach pains, and these hypothetical stomach pains made your hypothetical baby wake up crying every 30 hypothetical minutes all through the night, I would hypothetically suggest that you hypothetically buy this product! It’s alcohol free, all natural, and even vegan! If you have a baby: BUY IT (you never know when it will come in handy)!!! If you have a friend/relative with a baby: BUY IT (they’ll thank you later)!!! First of all, I apologize to my followers for missing a post yesterday! I wish WordPress would let you see what time it thinks it is, so you could be sure that your post would launch when you think it would…but I’ll save that for another post. 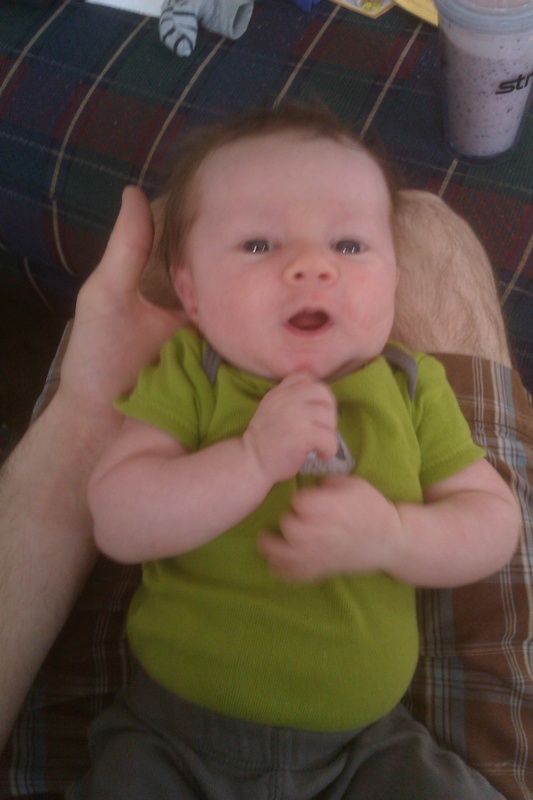 Anyway, to make up for yesterday’s miss, I thought I’d let my 1 month old son say “Happy St. Patrick’s Day” on my behalf (he’s wearing green today, so no pinches for him)!!! Happy St. Patrick’s Day everyone!!! Be safe!!! So the wife and I, being the overly-careful first time parents that we are, purchased a Munchkin Microwave Steam Sterilizer. First of all, to properly sterilize the contents of the sterilizer, you have to add 7oz of water (the instructions for use are very clear about that, and they even go so far as to say that adding too much or too little will lead to improper sterilization or even damage to your microwave!!!). Now, who has their 7 oz measuring cup ready? Why was this not designed to work with 1 cup (8 oz)?!? If there was no way around the 7 oz requirement,why was a fill line not incorporated into the design (if this is so important)? Make it easy for the user!!! Secondly, the ‘cooking times’ required for sterilization were in a nice table in the user’s manual, but not on the product. For something so important, why would this information not be marked on the product? 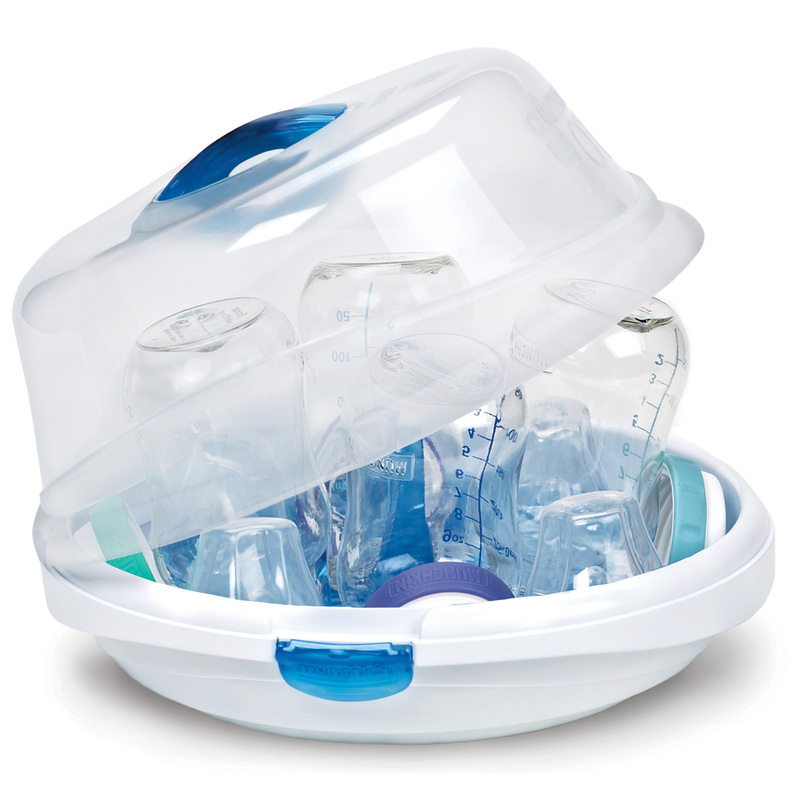 The manual could easily be misplaced or a friend, family member, or baby-sitter may be using this sterilizer and they may not know where to find the manual. I’m actually about to buy a new microwave, so I’ll have to find that darn manual to determine the new ‘cooking time’ that I need to follow. 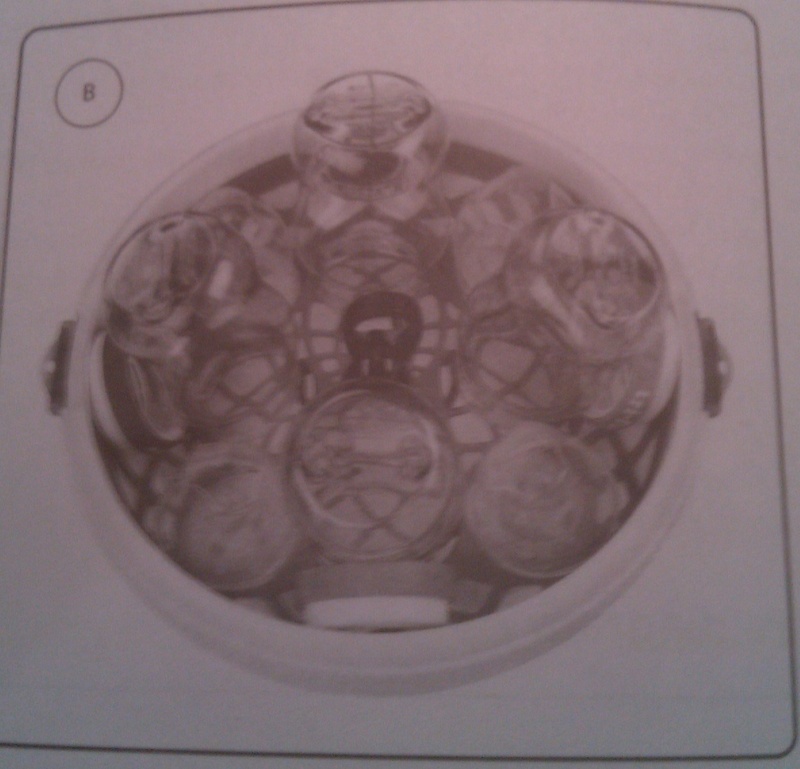 Thirdly, the pictures of how to properly load the unit are in black and white and not very easily readable. Again, proper loading is important to ensure sterilization; perhaps the manual should include a drawing showing how to load the sterilizer, and not just a picture of it while it’s loaded. Lastly, there are several warnings for potential burns due to removing the sterilizer from the microwave or removing the lid from the sterilizer too soon (I’ll overlook the fact that they tell you, in the manual, not to hold the sterilizer by the provided handle after you take it out of the microwave…). How have they not yet incorporated one of those temperature-dependent, color-changing stickers, or something to that extent, on this product yet? It appears that the beer industry is light years ahead of the baby industry on this one! Design engineers and marketing folks need to assume the perspective of the customer when they are making new products. After all, who are the products for? That statistic is widely proclaimed, and it should make you FUME on the inside. The problem is that, all too often, we blame the users of the car seats for the car seat’s incorrect installation, and we don’t blame the car seat/vehicle manufacturers for making something that 80% of the population cannot install correctly (even with their best intentions)! Heck, if Hewlett Packard or Apple made computers that 80% of users couldn’t operate correctly, they would be ridiculed and go out of business! Parents.com published an article on the 8 most common mistakes made when installing car seats. I may be as bold as to say that these can and should be designed out. 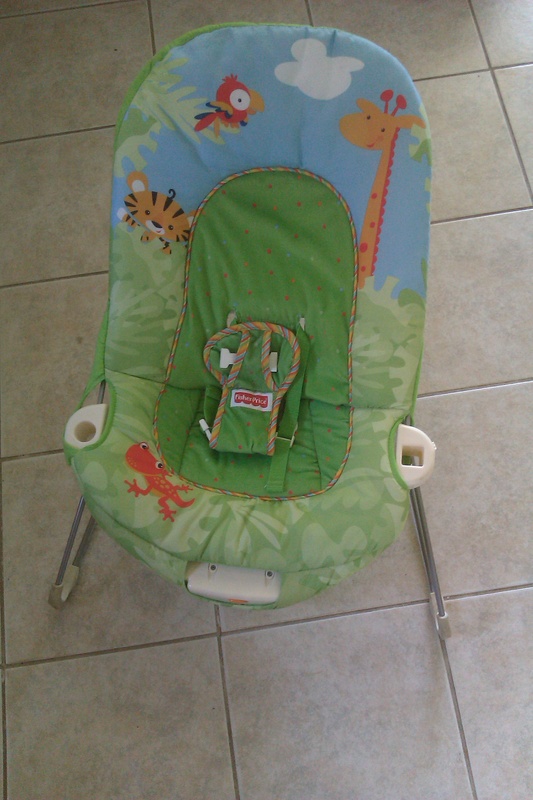 Mistake #1 is that the straps which hold the baby seat to the car’s seat are installed too loosely. I’ve recently installed one of these baby seats and I literally stood over the baby seat in the back seat (awkwardly, as I am 6’1″ and not very compact) and tugged on the belt to tighten it, and I still don’t know if I really feel that it’s tight enough (and I work out almost daily!). Why have we not yet incorporated ratchet straps in the belts (or something to that extent) that would allow someone without appreciable physical strength to tighten the straps tighter than I was able to with the current belts. 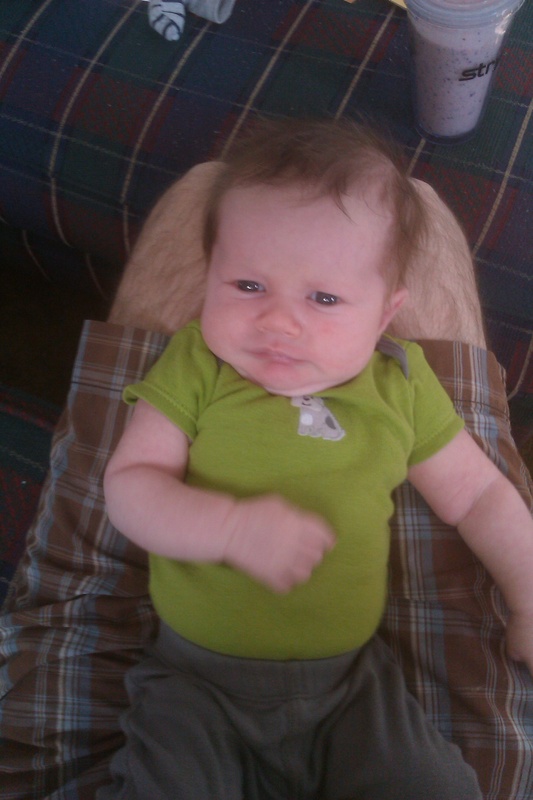 Mistake #2 is that the harness holding the baby in is set too loosely. We currently have devices that automatically tighten and latch when they need to…they’re called seat belts. Furthermore, if something similar to typical seat belts were utilized, it would be easier to load the child in the seat (as you wouldn’t have to bend the child into a pretzel to get their arms under the straps). Why haven’t we yet incorporated something to this extent in car seats? Yes, some of these suggestions would make the car seat more expensive and some would make it heavier, but, looking at the statistics of how many car seats are installed incorrectly and how many children die each year in car accidents, I think a car seat redesign is worthy of discussion.